Throughout the years we’ve been told that nothing good comes from gaming. 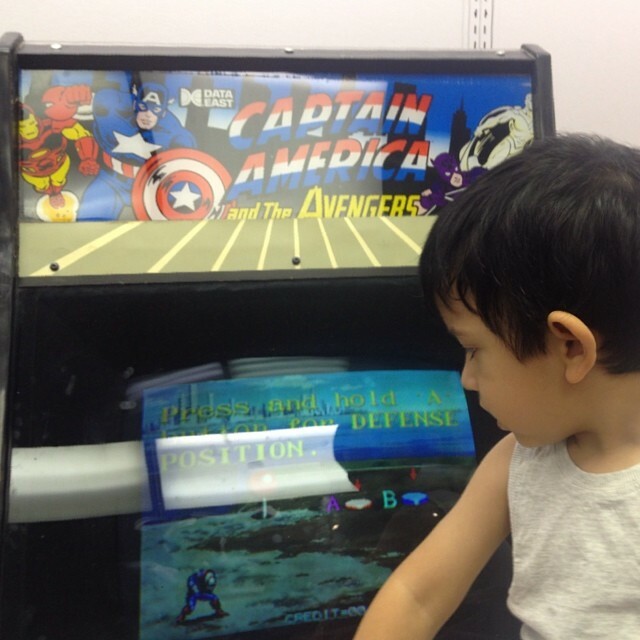 We’ve heard that gaming leads to nothing but laziness, obesity, and violence. A group of gamers is out to prove that good can come from gaming, and this year I am joining them. Extra Life is an organization that puts together a fundraiser every year for Children’s Miracle Network Hospitals, in my case money raised by me will be going to Primary Children’s Hospital here in Salt Lake City. My goal is a big one, but my hope is that readers of my blog, and my social media followers will come in big and help me get to my $2500 goal. I have not yet decided which games I will be playing, although I know that I will be playing LEGO Marvel Super Heroes so J can join me if he wants to for an hour or so. J had to go to Primary Children’s Hospital to do some brain scans when he was younger. Don’t worry all of his tests were negative, but the staff there gave him a toy car and a fleece blanket to keep him calm during the tests. After the tests were completed, they told him he could keep the car and the blanket. He still plays with the car (a Hot Wheels Batmobile) and cuddles with that blanket every night. We are one of the lucky families that got to walk out of Primary Children’s with good news and with our child. Some families are not so lucky. There are children with cancer, cystic fibrosis, broken bones, and other ailments. Primary Children’s has a philosophy “The Child First and Always®” and because of that philosophy they have created a financial assistance program to help families without insurance. If you can, please click here and support/sponsor me and help me reach my $2500 donation goal so Primary Children’s can keep doing the amazing work that they are doing. Thank you Salt Lake Comic Con, the Utah Symphony, and Video Games Live for helping me find such an amazing opportunity to help my community. 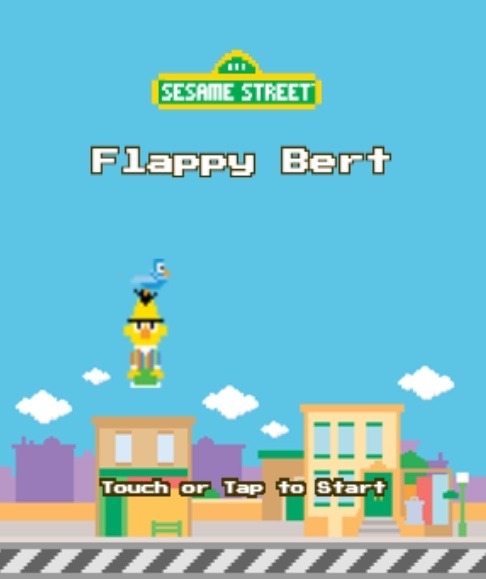 In the same week that Flappy Bird developer Dong Nguyen yanked his highly successful smartphone game from app stores world wide, the wonderful people at Sesame Workshop have released their version of the game with their new title Flappy Bert on their Sesame Workshop site. In this flash game you play as Bert’s pet pigeon Bernice. Your goal is to guide Bert through a maze of columns by clicking the mouse. If you run into a column you will hear Bert, in a somewhat disappointed tone, say the name of his long time friend/roommate Ernie. So I guess that means that in this game you are actually Ernie, who is controlling Bernice, who is guiding Bert through the maze.